First encounters of the airport kind « Phloggings will continue until morale improves…. Phloggings will continue until morale improves…. 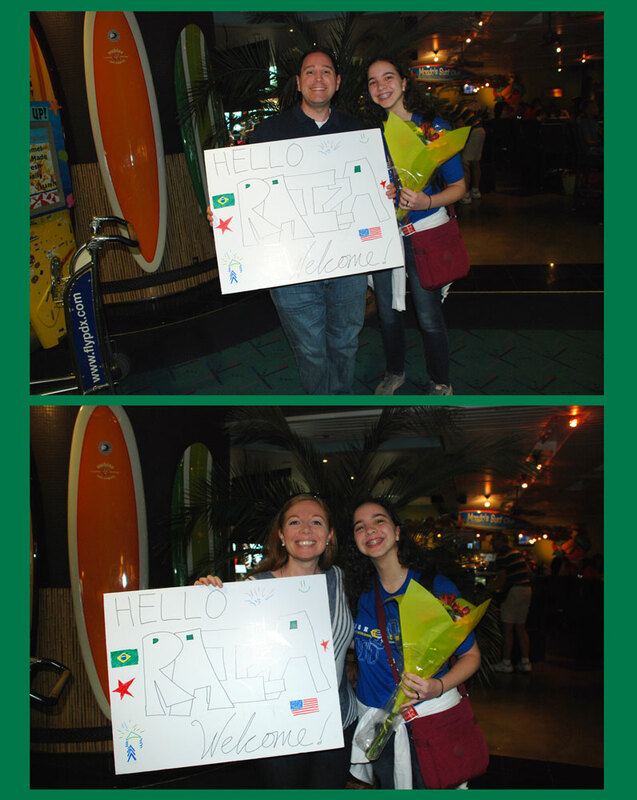 Since we were a little early to the airport, we made a sign to hold up for our exchange student Raíza. You say it: Hi-EASE-uh. Some of her friends just call her Hi. 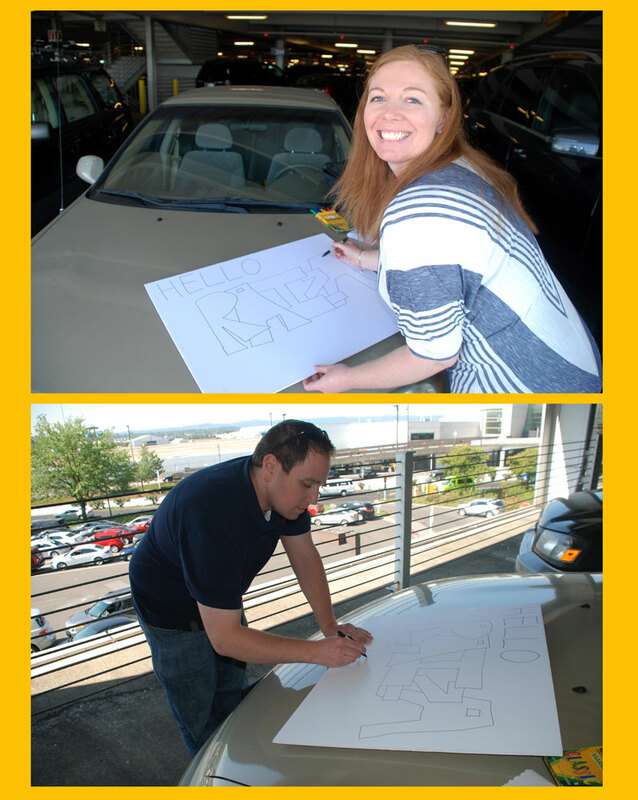 Watch Aaron 3D print the Brazilian flag onto the sign here. I love his laugh in that video. What happens next: 1- I grab an abandoned airport cart just like my Dad used to do, (who wants to pay for things anyway?) 2- we con our way into a gate ticket for each of us so that we can meet her as she gets off the plane, (normally they only issue one) & 3- the security line is just long enough that Raíza is off the plane & looking for us as we walk up to the gate (rendering our beautiful sign essentially useless). Aaron spots Raíza first because I was looking for someone a lot shorter, she takes after her tall Brazilian Dad. Somehow pictures & video chats somehow don’t prepare you for height. Aaron picked out the bouquet of flowers for her. I picked out the background of palm trees & surfboards, because nothing says Portland like palm trees & surfboards. We noticed something right away. Raíza wasn’t tired. We were prepared for tired. 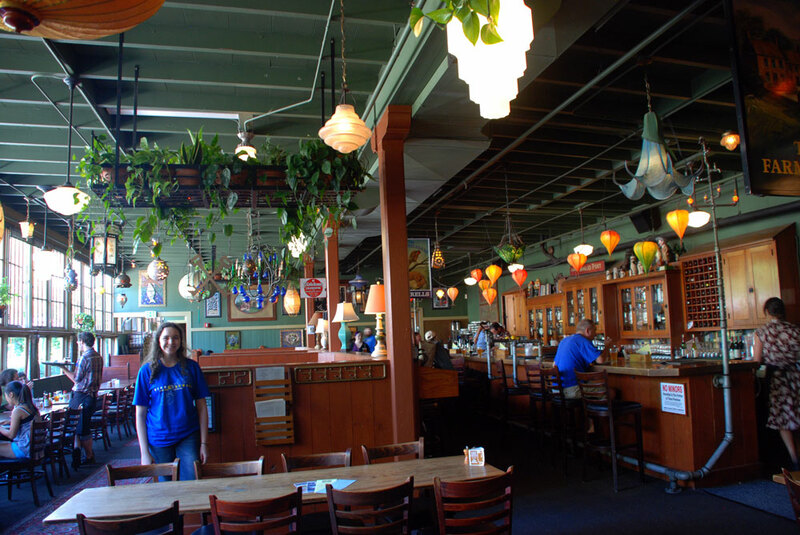 We figured we’d feed her & then for sure she would sleep, so we took her to our favorite spot for Portland initiates, the Kennedy School McMenamins. Raíza had her first taste of fresh NW salmon & loved it. 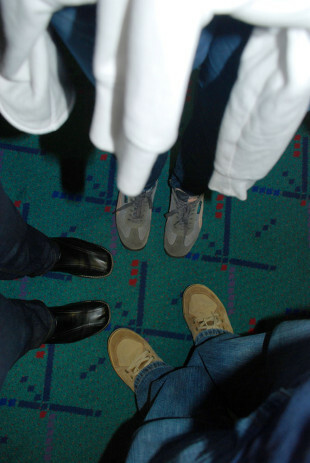 This is also where Raíza didn’t tell us about the torture she went through on the flight from Atlanta to Portland. We only learned a month later that during the flight she really needed to use the bathroom, but was stuck by the window with a very large sleeping passenger on the aisle seat. There were no tragedies, it all ended peacefully. At home Raíza unpacked, showered & put together a fan with Aaron, but she still had no desire to sleep, so the only alternative was plunger park. 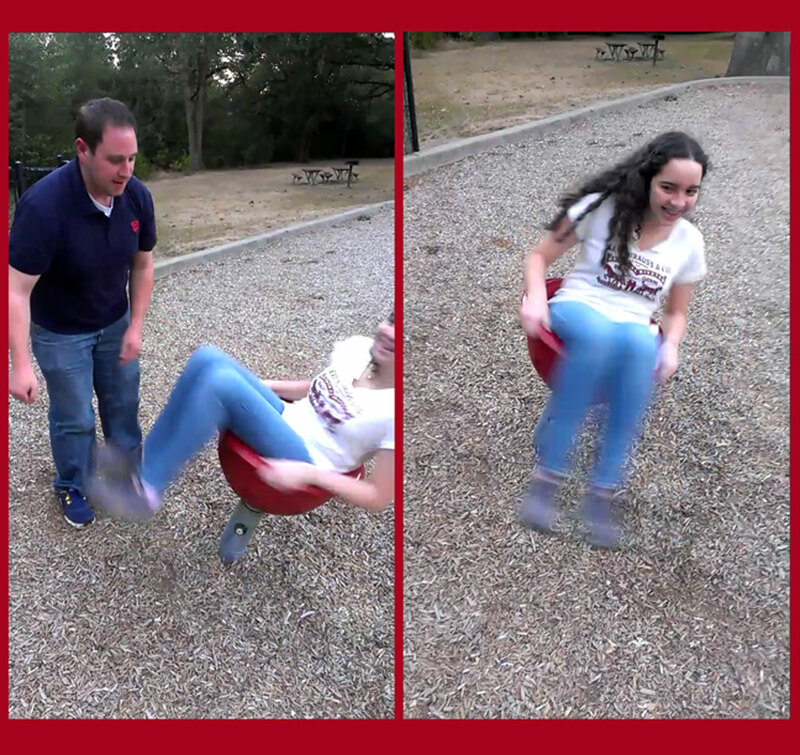 Enjoy a video of us trying to get her dizzy. It was a lovely walk though. When we got back, Raíza shared all the presents her generous parents had sent along with her. 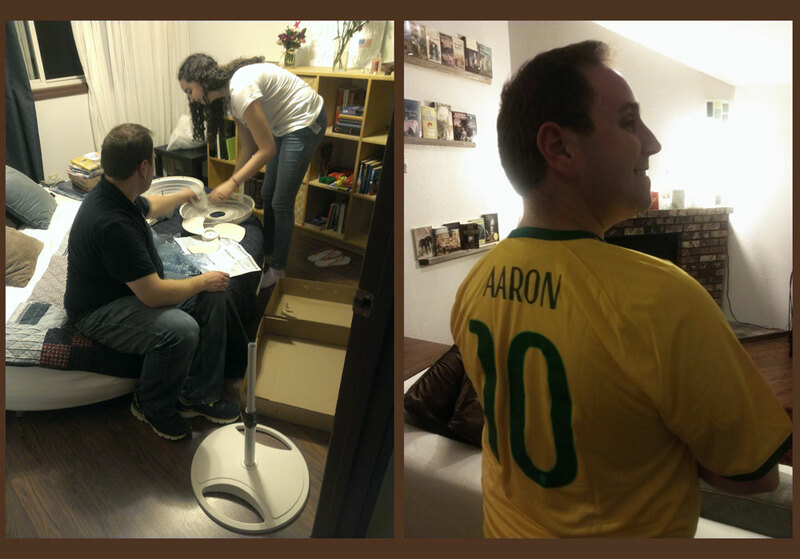 Aaron is sporting his soccer jersey, which he adores. They also gave us beautiful books about Brazil, Brazilian music & t-shirts & books supporting Brazilian charities, as well as personally made pillow covers. Don & Leda are so kind to give us all that & then let us parent their daughter for the next school year. Thanks guys! International Nerds: Pig Museum « Phloggings will continue until morale improves…. on To Wilhelma!